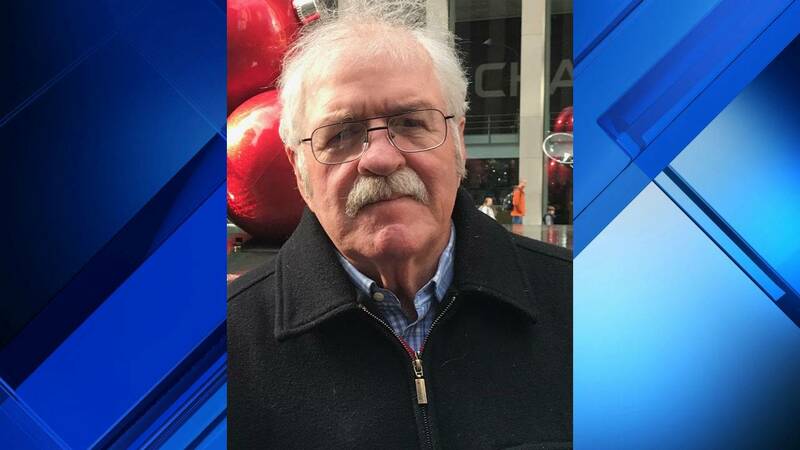 ANN ARBOR, Mich. - A 68-year-old man with dementia has been reported missing, according to Ann Arbor police. Gregory Packard walked away from his family's home in Ann Arbor while he was visiting. He is not familiar with the Ann Arbor area. Police describe him as 6 feet tall and weighing 220 pounds. He has white hair and a mustache. He was last seen wearing a gray wool coat, blue pants and a brown trapper hat. Police described the hat as an Elmer Fudd-style hat. Packard has been missing since Wednesday afternoon. If you have any information, contact Ann Arbor police through Washtenaw Metro Dispatch at 734-994-2911.